Today was Day #6 of Chocolate and Seeds Theme Week. This raw, organic Super Seeds! 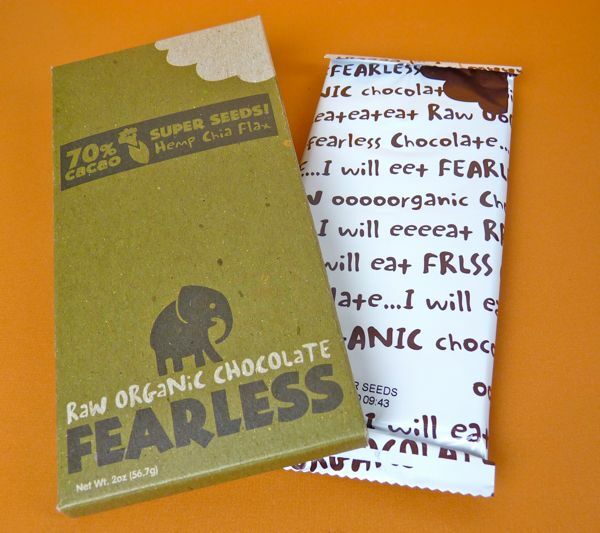 dark chocolate (70% cacao) bar from Fearless Chocolate (San Francisco/Oakland) incorporated three different types of seeds: hemp, chia and flax. Each type of seed added a slightly different texture and taste. The base dark chocolate tasted rich and complex up front with a relatively hard snap; and it had a mild finish with a few seed notes trailing after the chocolate flavor had subsided. Remember those chia pets -- with the little green sprouts growing as "hair" or "fur" out of clay/ceramic heads and animals? Well, chia seeds are also edible, and they have a slightly nut-like taste and gel-like textural quality that you may detect if you eat enough of them. 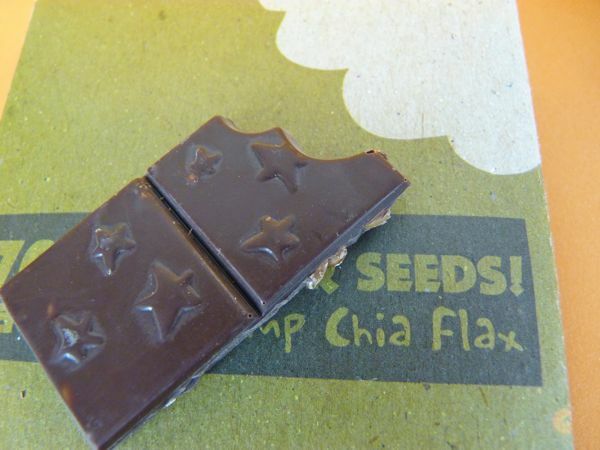 All three seeds in this bar are reputed to have beneficial nutritional properties on top of those found in raw dark chocolate. 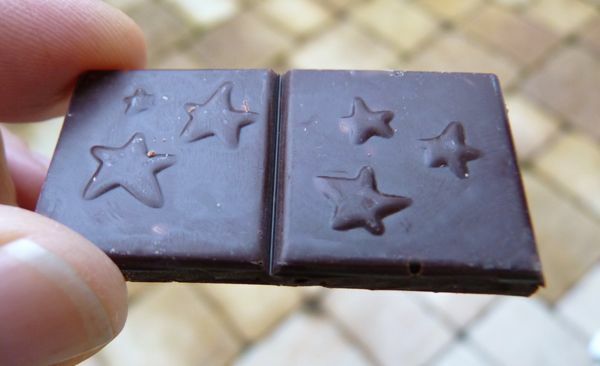 What does raw chocolate mean? Fearless crafted this bar (and others in their product line) from unroasted cacao, and with low heat under 118 degrees, to help preserve nutritional, mineral and anti-oxidant content that might be otherwise lost in conventional processing.